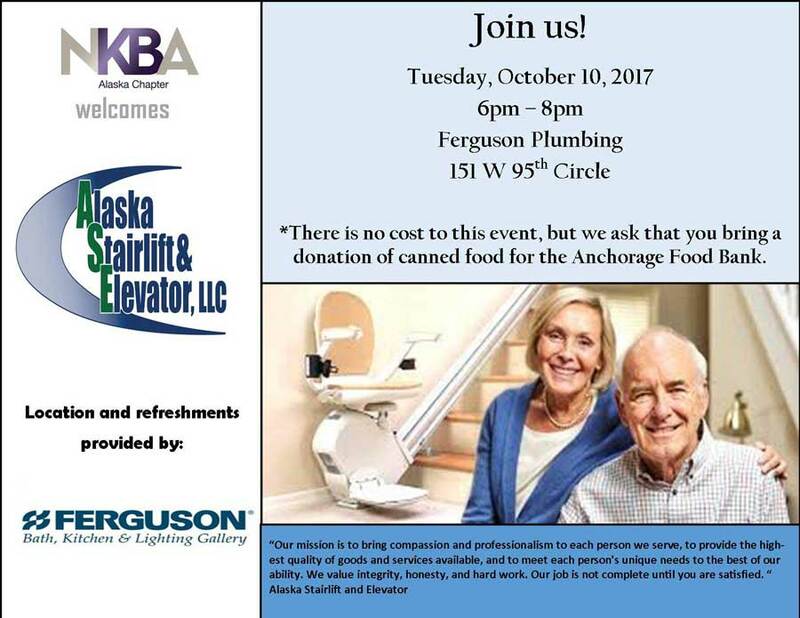 The mission of the NKBA Alaska Chapter is to enhance member success and excellence, provide educational opportunity, promote professionalism, ethical business practices and provide leadership and direction for our members in the kitchen and bath industry. 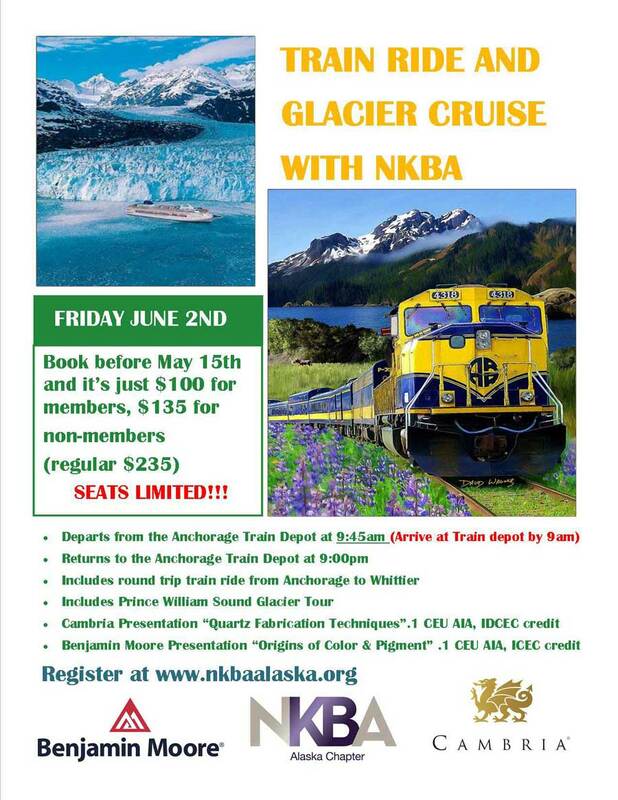 Click here to visit the NKBA Alaska website. 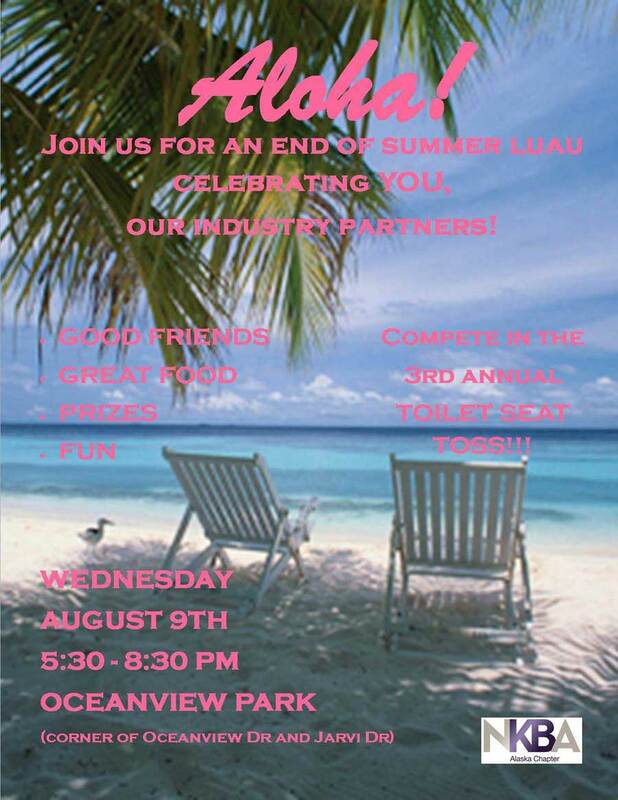 Teams will be drawn randomly and play trivia for prizes and CEU’s. 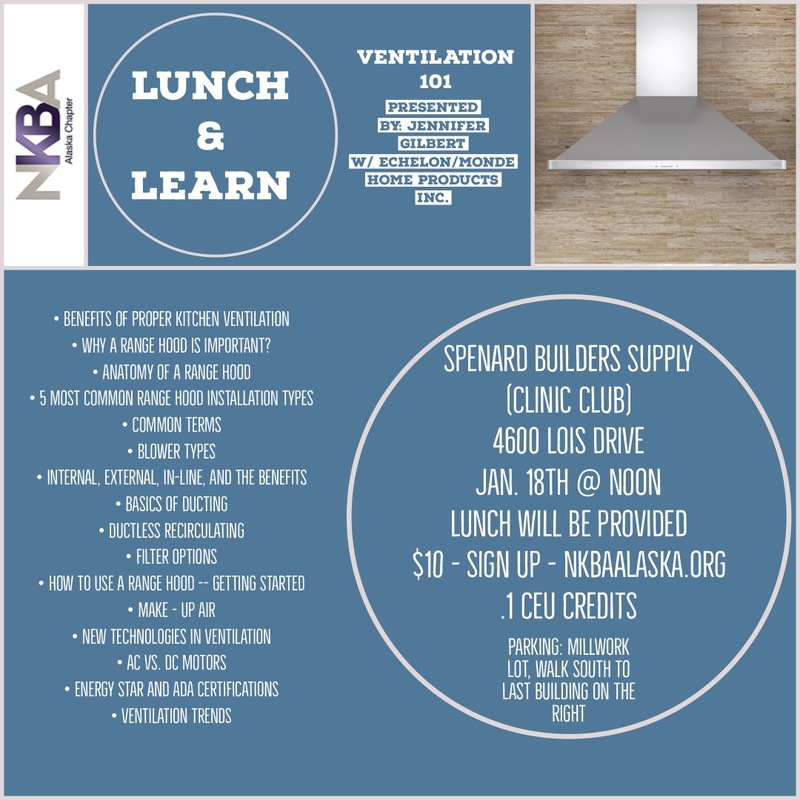 Learn basics of kitchen ventilation, new technology, installation types and terms, certifications and trends. 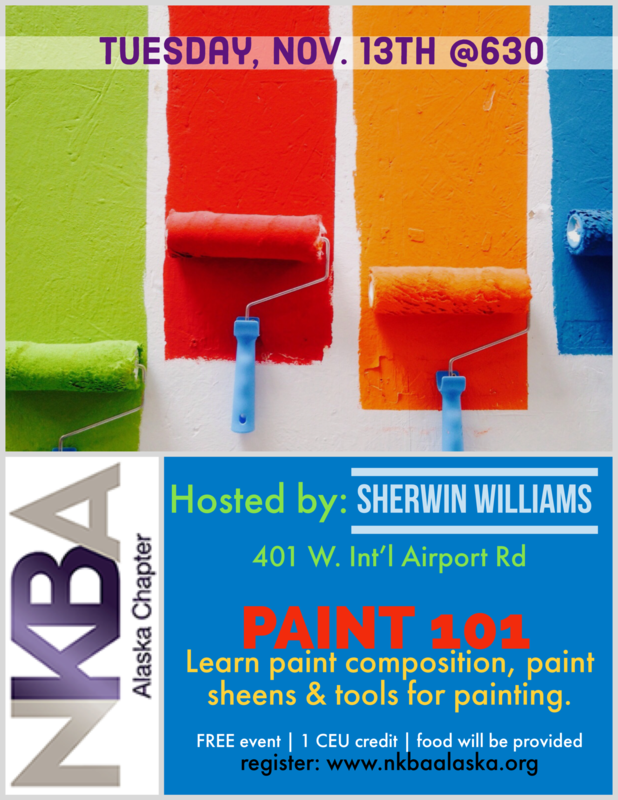 Learn paint composition, paint sheen and tools. 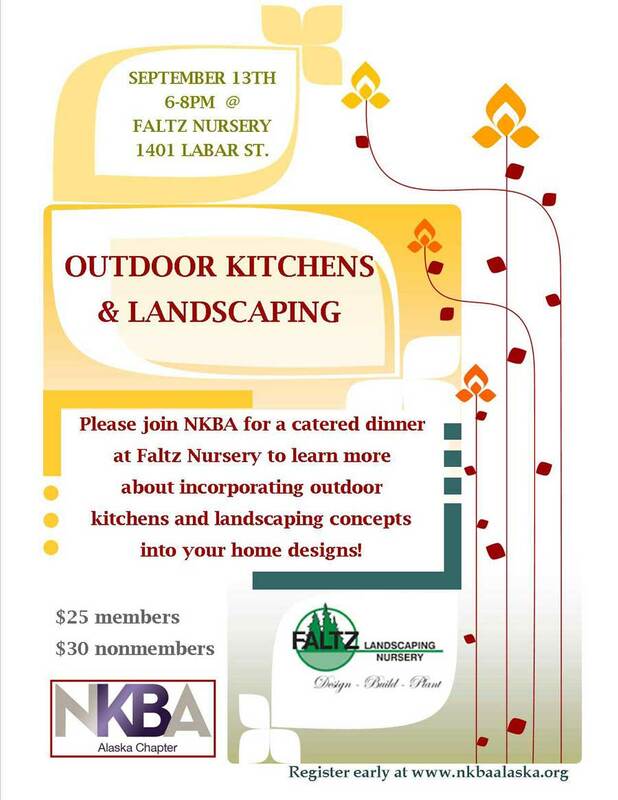 This meeting counts for .1 CEU through NKBA. 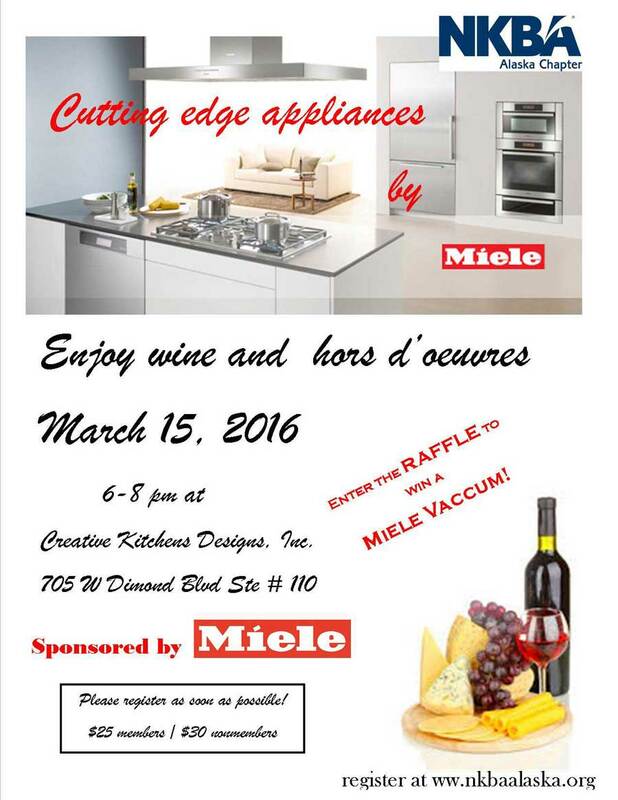 Function and design options in counter tops followed by painting individual coaster size tiles with alcohol ink. 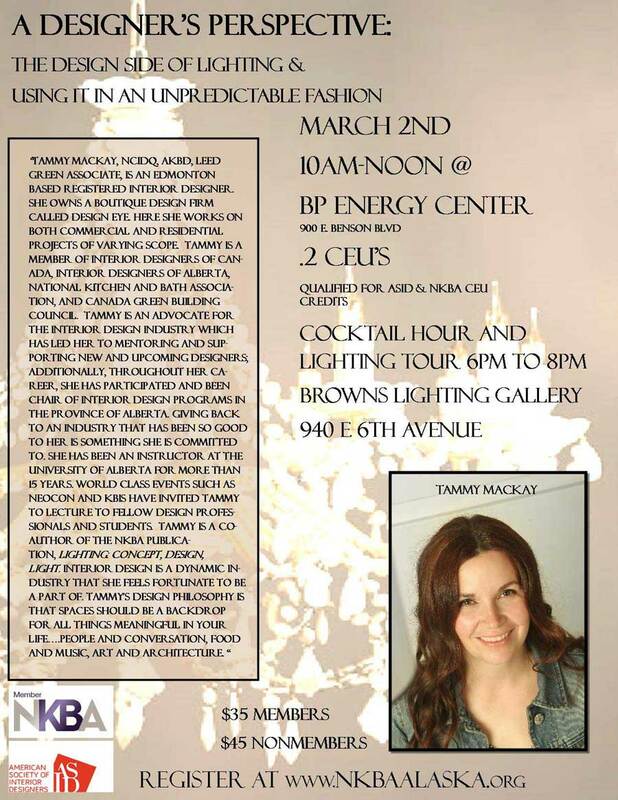 Guest Shanna Ross of Tarkett/Johnsonite will explain the importance of sustainability in design. 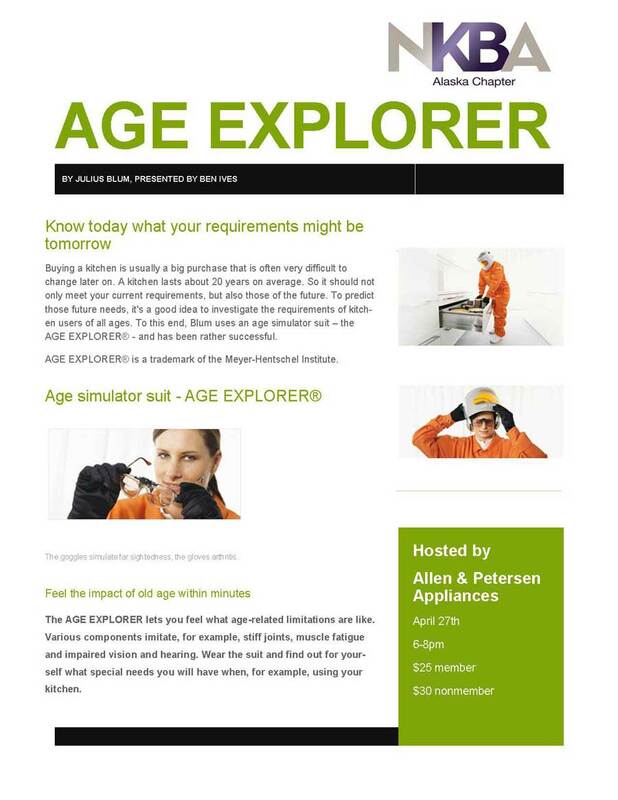 Sign up solo or save some money and sign up a team of four! 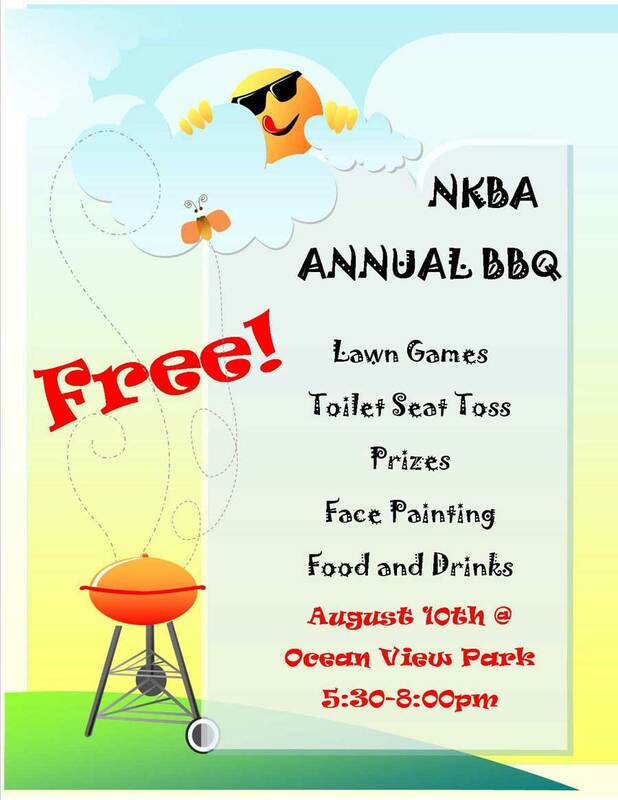 If you haven’t already, head over to NKBAalaska.org and sign up for NKBA Trivia Night! 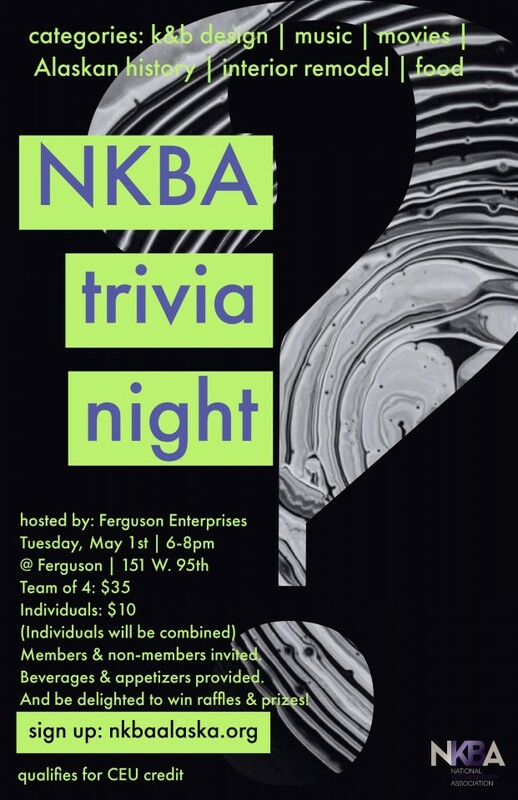 Your AK Chapter and Ferguson will be hosting a fun Trivia Night, on Tuesday May 1st! 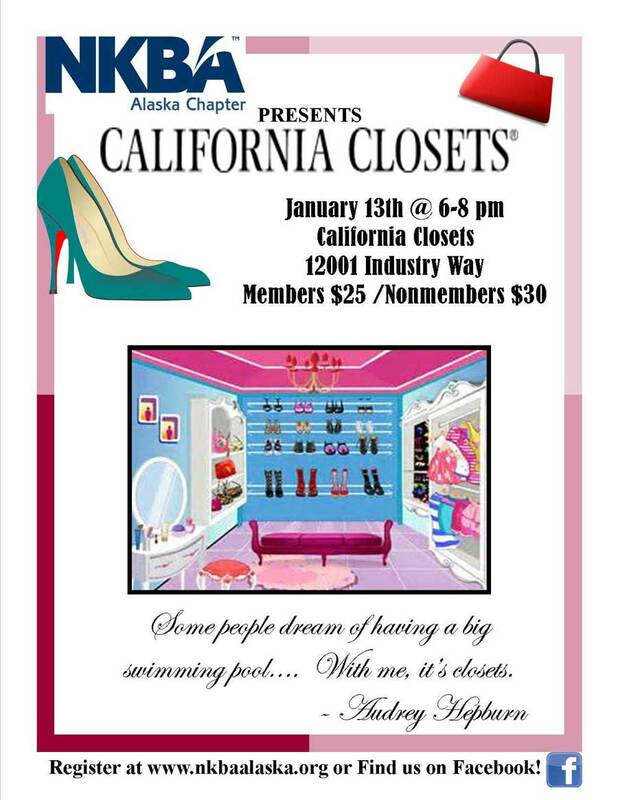 It’ll be an nice and easy networking opportunity! 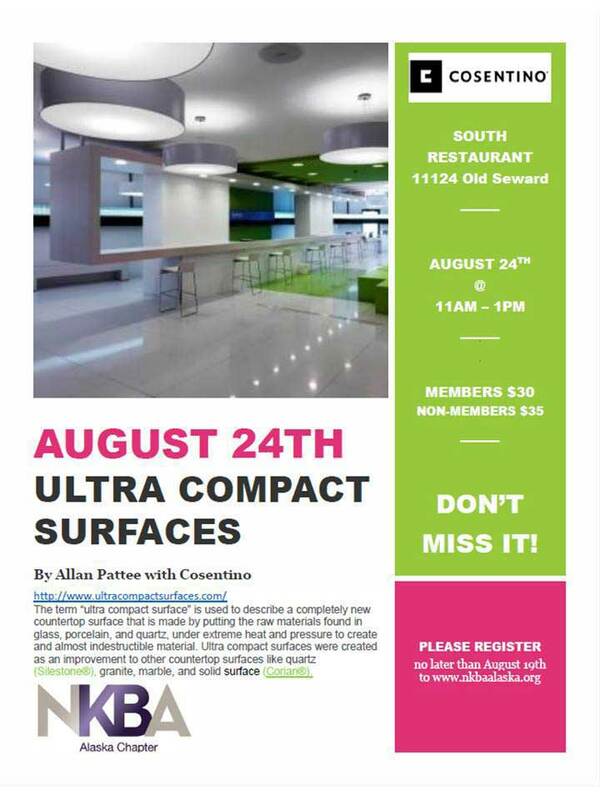 Please join the NKBA Alaska Chapter and Alaska ASID Chapter for a .2 CEU morning event followed by a evening cocktail hour and lighting tour sponsored by the Alaska ASID Chapter and Brown’s Lighting Gallery. 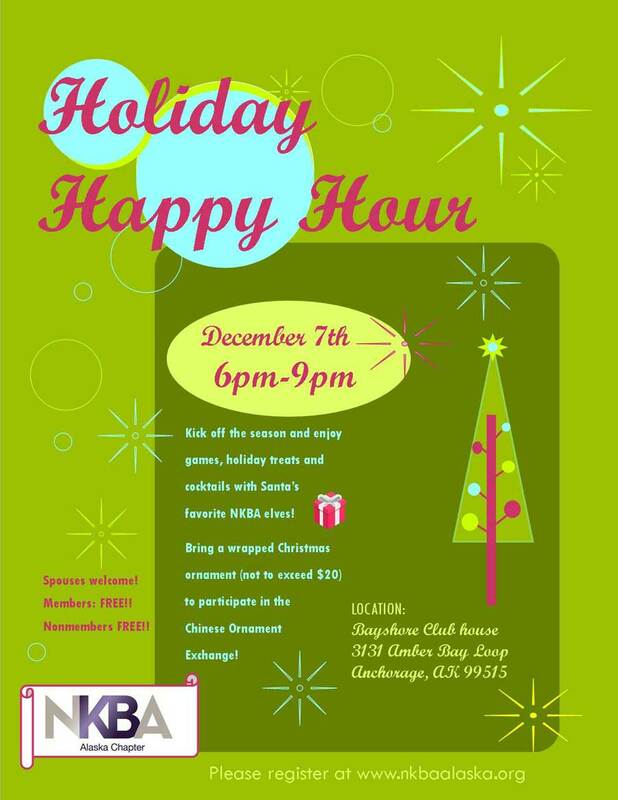 The morning event is qualified for NKBA and ASID CEU credits. 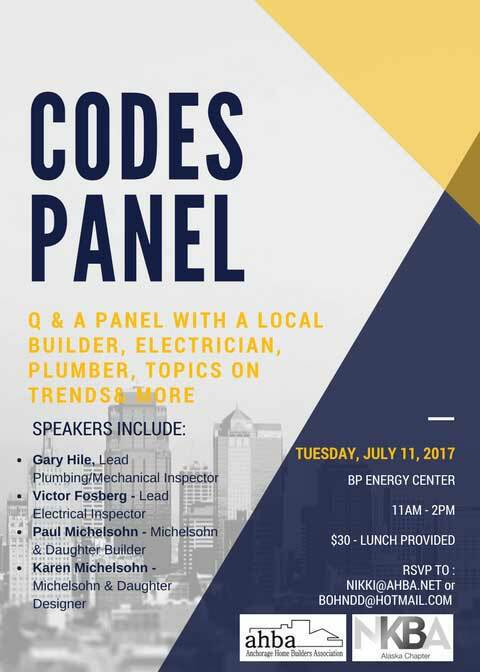 Come learn about a new leading product and enjoy some amazing food. Note: Please be prompt for we will start the meeting immediately. 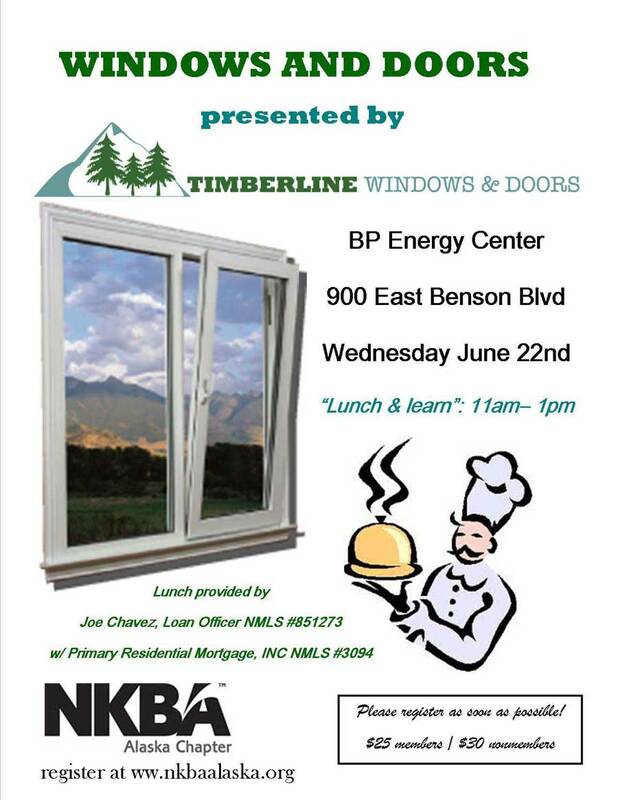 Join us as well learn the latest and greatest about trending window and door options. 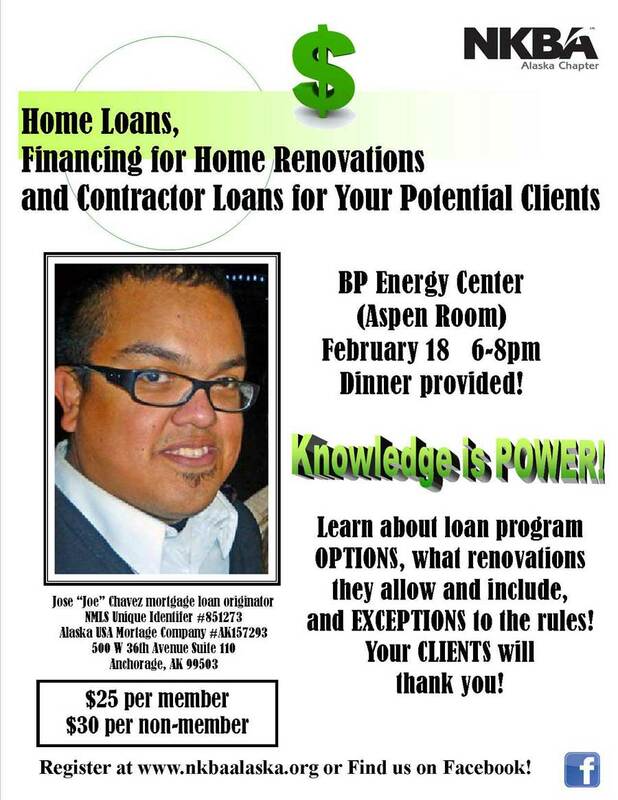 Refreshments sponsored by Joe Chavez.